Learn how CUNY’s institutional repository can help maximize your research impact. 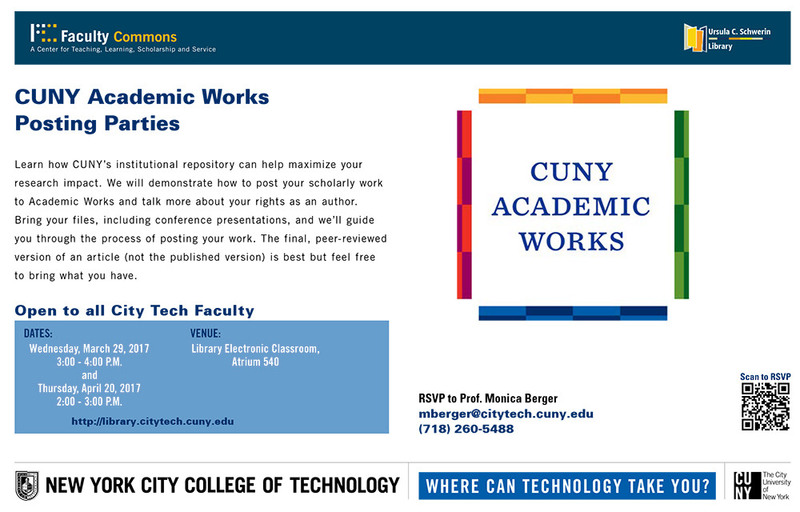 We will demonstrate how to post your scholarly work to Academic Works and talk more about your rights as an author. Bring your files, including conference presentations, and we’ll guide you through the process of posting your work. The final, peer-reviewed version of an article (not the published version) is best but feel free to bring what you have.